The surface tension increases when a release agent (Ammonium Iodide) is added to the melt. This decreases the surface area of the bead that is in contact with the crucible. It also enables the release of the fluid melt from the crucible, guaranteeing less hang-up of the melt and allowing an easier crucible cleaning process. Iodides are considered to be a preferable release agent to bromides, because Br Lα interferes with Al Kα. Beads developed using ammonium iodide tablets comprise of a neutral or positive meniscus, decreasing sharp edges besides reducing the likelihood of bead fracture. Bead curvature, a key contributor to reading error, is also decreased. 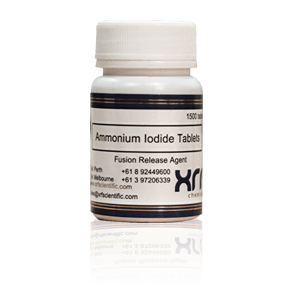 XRF scientific ammonium iodide tablets are produced under monitored conditions to guarantee consistency and quality. 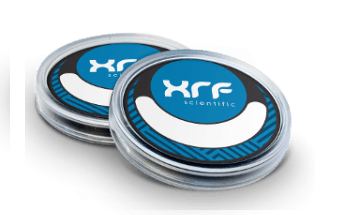 They have been formulated based on XRF Scientific’s widespread experience with platinum ware, machine design and flux in order to guarantee optimal performance across a wide range of conditions.